Oh hai Friday Finds followers! I know there are some of you out there, eagerly awaiting the spoils of my internet trawling. At least I think there are?! I admit, I haven’t been surfing lately – it’s been hard, with real life here in Tokyo distracting me with all of its deliciousness. 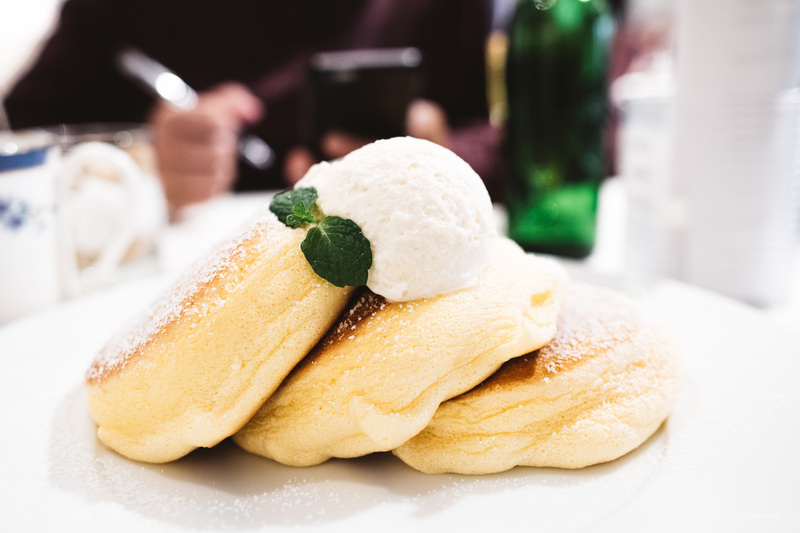 We’ve been eating loads of fluffy pancakes, because they’re so FLUFFY! I think I’m addicted. Mike, not so much. He says he likes his pancakes to be crispy on the top and bottom and fluffy in the middle. There are definitely no crispy parts on the pancakes that are dominating the scene right now in Tokyo. They’re more like soft soufflé piles of fluff: there’s barely any contrast between the insides and outsides. I thought I wouldn’t be into them, but I’m very very much so in love. I can’t wait until I go home and figure out how to make them. In the meantime, please enjoy these Friday Finds! I think everyone might have a lil Aggretsuko in them. This is just the kind of taste testing I can get behind! I haven’t started watching the latest season of Top Chef yet, but this lil vid of Padma reminds me that I need to, stat. I don’t know why but I literally lol’d at some of these. A take on Bourdain’s fiction. I’m all for movies/tv based on books. In that vein, the new Archie TV series looks fun! These black sesame morning buns – I wanna fall asleep in them in the best way possible. Mini cheese danishes: so you can have five instead of one! I love blueberry muffins! I never make them, but clearly that needs to change. All of my spicy noodle dreams come true! This guy looks almost exactly like the griddles they use at Japanese pancake places! Warm and cozy beef bourguignon. The ultimate breakfast mac and cheese. Hope you’re having dinner with your family this weekend! It’s the Lunar New Year so be sure to eat, drink, and be merry! 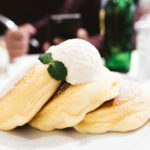 The hot cakes in Japan are like no where else. I ended up buying a stash of Morinaga hot cake mix that I’m working my way through. They all fluff up 2.3 cm (per the packaging, and they really do!) and they’re close to what you get…and they’re portioned perfectly. Each small bag makes about 6 pancakes. they look so fluffy! i definitely like my pancakes with that crispy lace-y edge, but these also sound amazing and i want to try them asap. byron talbot put up a pancake souffle on his youtube channel recently, but i’m not sure how similar they are. I spent the weekend thinking about the Lorraine Chuen article you link to here. I have always thought of the food world as one that transcended idiotic racial scuffs like this. It’s so disheartening to see the current “white people are the worst” trend (I know we’re not allowed to call it racism) applied to the food scene. Do the same people have a problem with Sadaharu Aoki being an expert on French pastry? Or the Australian Southern (American) BBQ alliance? Why would you want to diminish anyone’s skill or passion based on their skin color? LOVE LOVE LOVE YOU!! Thank you for the birthday wishes!! Hope you guys had a wonderful Lunar New Year weekend!! OMG I am going to Tokyo tomorrow! Please tell me where to get pancakes. I am sadly there for one day so food itinerary already sorted but I am sure I can squeeze them pancakes in somehow. i went to these three and they were all amazing! ps – sorry for the late reply, we’re traveling in hokkaido rn! Hi Steph! Thanks for sharing the link to the Padma video. I don’t watch Top Chef, but I read and LOVED her memoir ‘Love, Loss, and What We Ate’ in January. So incredibly brave and moving. I learned so much. Highly recommended!